Wir sind noack sport support. Ein kleines Trainerteam aus Hamburg, Norddeutschland. Als Trainer spezialisiert auf Schwimmen, Triathlon, Radsport und athletische Fitness. 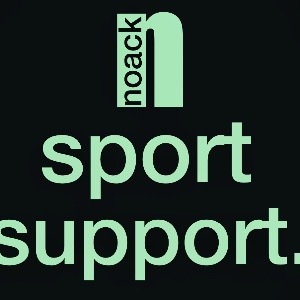 We are noack sport support. A little team of coaches based in Hamburg, in the north of Germany. As coaches we are specialized on swimming, triathlon, cycling and athletic fitness. Unsere Erfahrung und unser Wissen wollen wir mit dir teilen, um dich bestmöglich in deinem Sport zu unterstützen. Unsere Qualifikation haben wir uns durch Ausbildung an der Universität, in den Sportverbänden und durch unsere eigenen Erfahrungen als Athleten erarbeitet. Wir schätzen die Wissenschaft; die Erkenntnisse und Daten über das Training und den Athleten ermöglichen uns eine detaillierte Planung und und Analyse des Fortschritt. Das ist unsere Basis. Wir glauben an die Einzigartigkeit jeden Sportlers. Es ist unsere Philosophie, den Weg zu deinem eigenen Ziel ganz individuell unterstützen. We like to share our experience and knowledge with you to support you as well as possible. Our qualification as a coach as been gained through university education, the training in different sport associations and our own experience as athletes. We appreciate science; the knowledge and data about training and the athlete allows us to create a detailed plan and to analyze the development. That is our base. We believe in the uniqueness of every sportsman and -woman. It is our philosophy to support individually the way to your own goal. Success. Coach Jens Noack has been notified of your message.